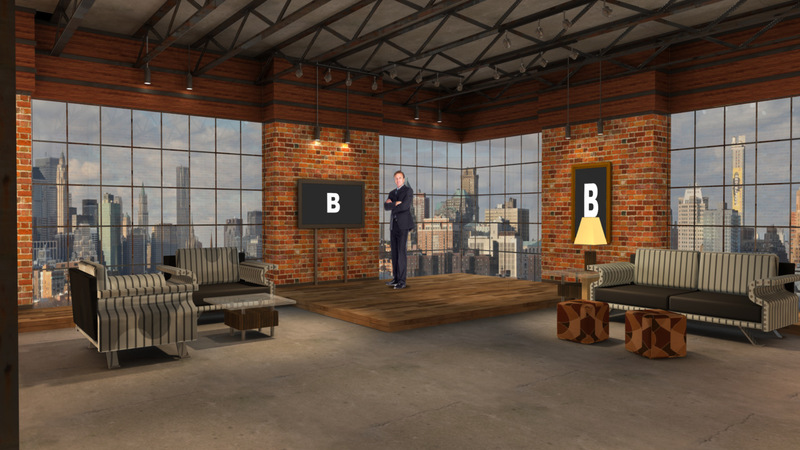 Virtual Set Studio 180 is a city loft with furniture and a skyline. 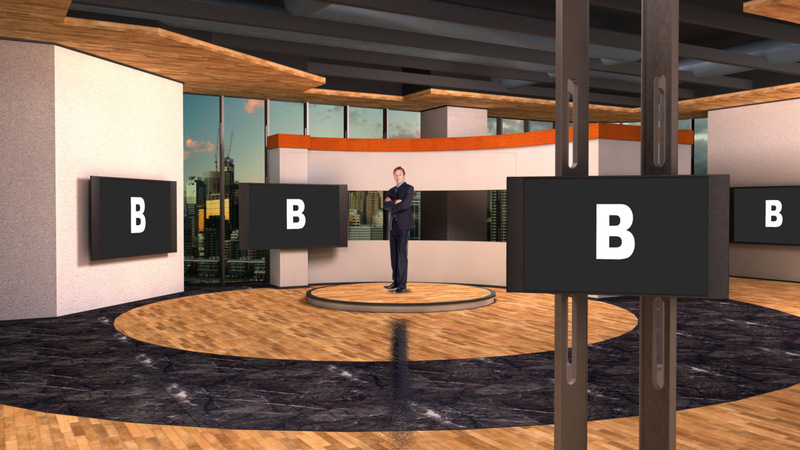 Virtual Set Studio 185 is a light open modern space with numerous screens to add your own content. 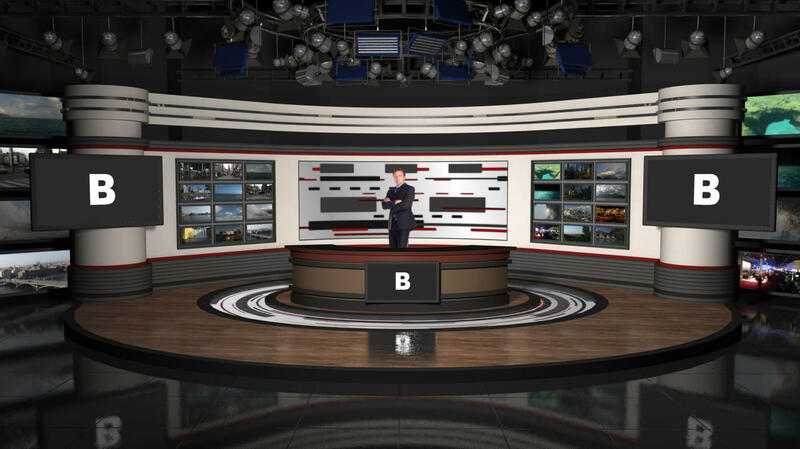 Virtual Set Studio 089 is a blue room with screens. 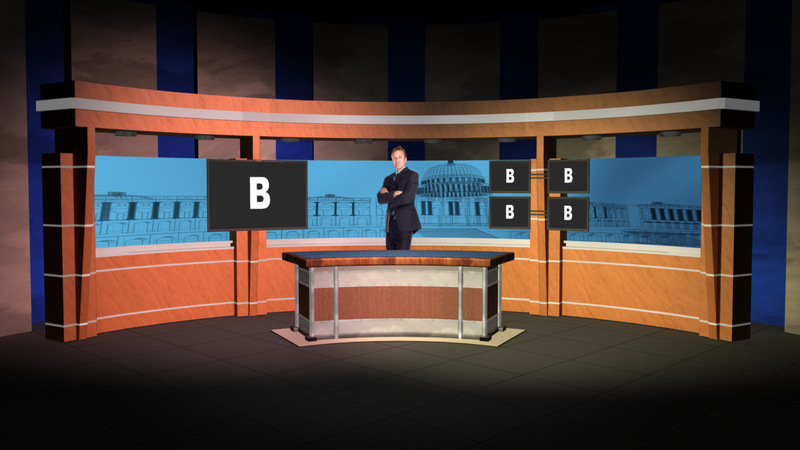 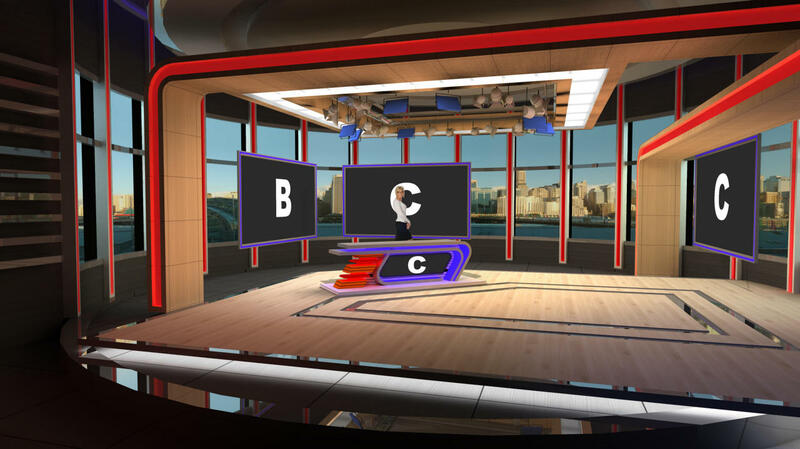 Virtual Set Studio 103 is a newsdesk with a wireframe of the capital in the background. 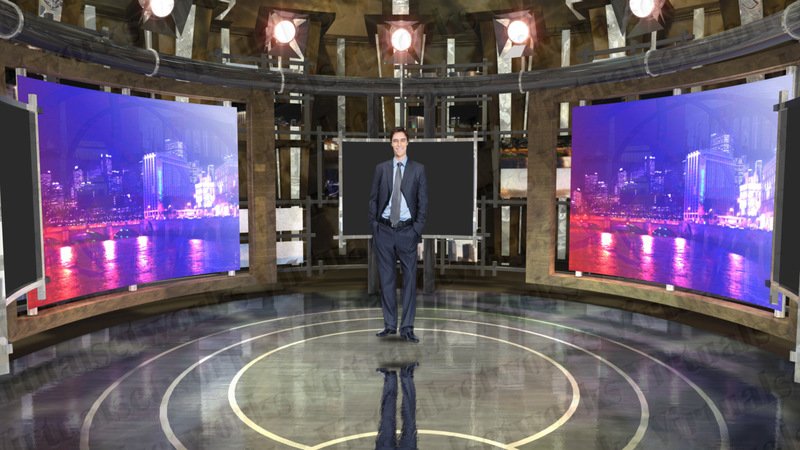 Virtual Set Studio 113 is a circular room with presentation monitors all around it. 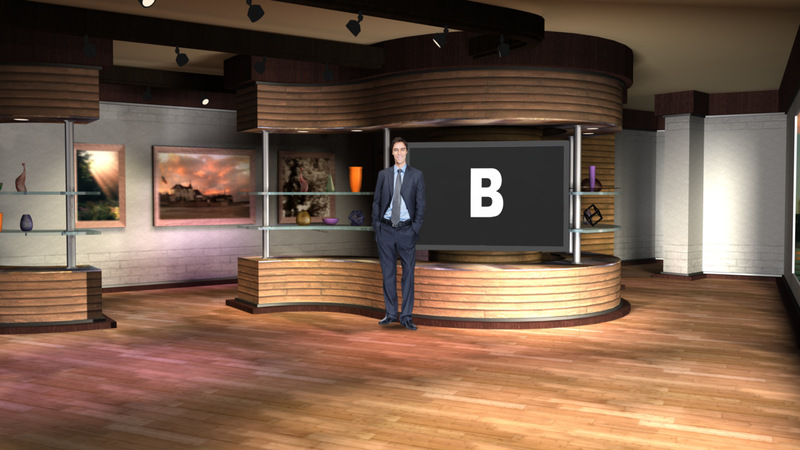 Virtual Set Studio 148 is a living room with an art gallery. 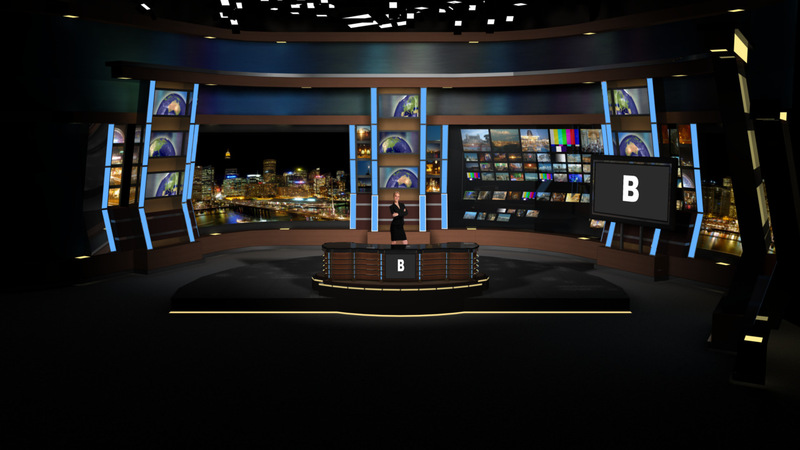 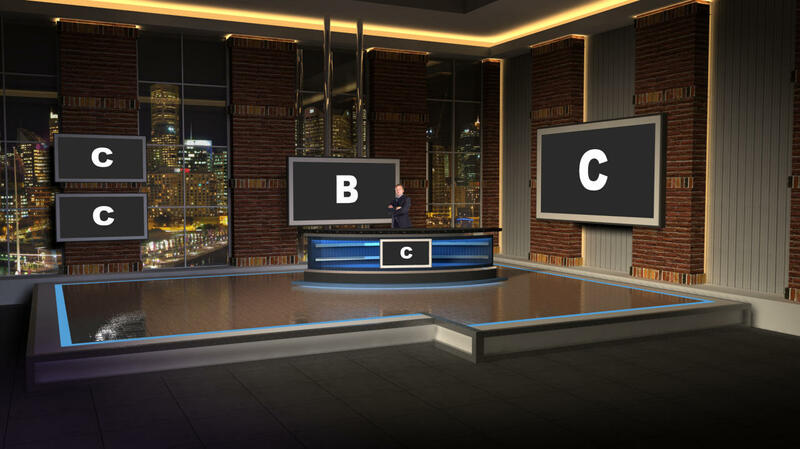 Virtual Set Studio 159 is a major network new desk set with monitors spaced around the room. 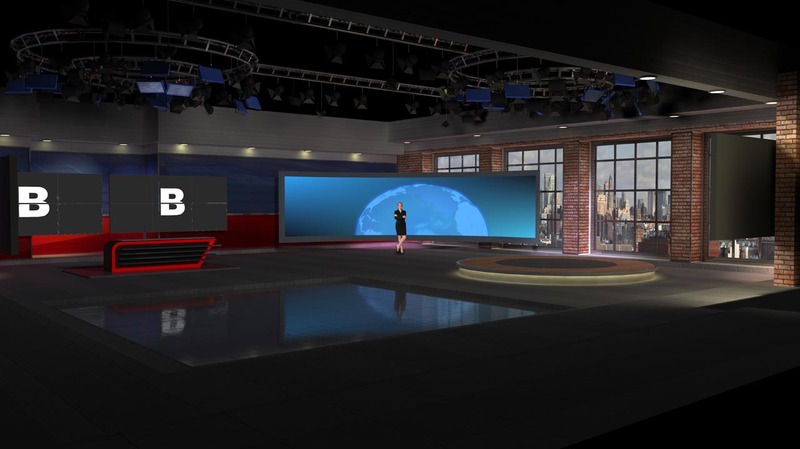 Virtual Set Studio 164 is a room with two lighting schemes and cooresponding skyline.